Tracing the Potter’s Wheel is composed of three intertwined sub-projects which take complementary approaches to the investigation of the potter’s wheel in the Bronze Age Aegean. The EXPERIMENT sub-project explores and defines the chaîne opératoire of early wheel potting by integrating a systematic programme of experiments to replicate production techniques. Experimentally-produced vessels will be compared against archaeological material from the Aegean in order to identify the specific wheel-use strategies used by past potters, which will then contribute directly to an understanding of the development of these strategies throughout the Bronze Age Aegean. The VISUALISATION sub-project pushes the boundaries of 3D digital techniques and analytical tools in the recording process and in the identification of wheel production trace identification. Purpose-designed digital archiving and printing techniques are also integral to this sub-project, as the means promote public engagement with technological approaches to material culture while also visualising our research results – familiar engagement goals attained through new technology. 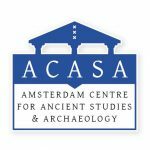 The ANALYTICAL sub-project will focus on compositional and technological analysis to determine the provenance of wheel formed vessels within key diachronic ceramic assemblages of the study region. By establishing a local vs. imported provenance for wheel formed vessels within their find contexts, instances of technological transmission of the potter’s wheel can be contrasted against – and interpreted in light of – choices in the distribution and consumption of identified imported wheel formed vessels. The trajectories of transmission for the potter’s wheel can then be mapped through time and the relationship with broader cultural encounters within this arena can be assessed.